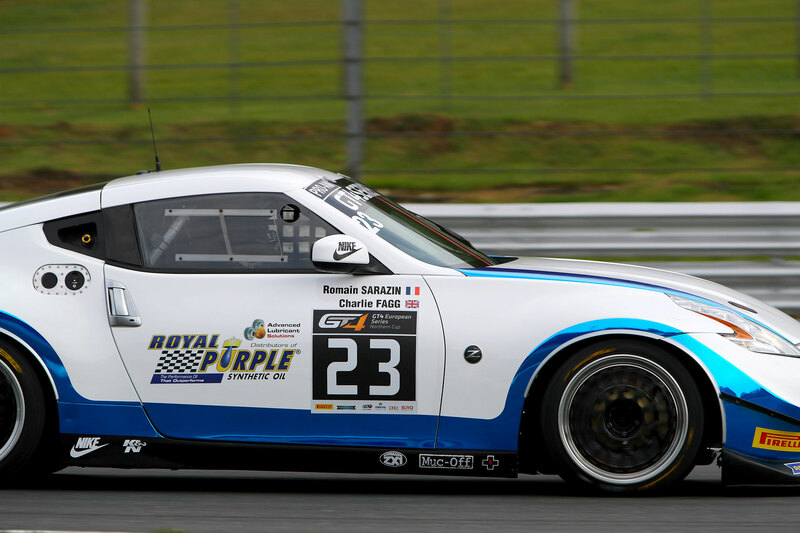 Pictured Pace of Nissan 370Z clear to see in hands of Fagg and Sarazin. 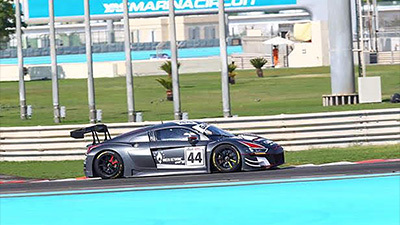 Pace of Nissan 370Z clear to see in hands of Fagg and Sarazin. Fractions of a second came between SWR and a richly deserved, and extremely hard fought, maiden GT4 European Series Northern Cup podium at Brands Hatch Grand Prix Circuit on Sunday, 7th May, when the tiniest of time infringements during the driver change pit-stop proved incredibly costly. On course for a memorable top three finish at least in the second of the day’s two races at the Kent venue, team-mates Charlie Fagg and Romain Sarazin looked set to celebrate a famous result until officials adjudged the mid race pit-stop to have been a mere 0.3 seconds too short. Resulting in a stop-go penalty during the closing stages of the race, the SWR entry eventually finished in 17th position. More galling was the fact Fagg and Sarazin had performed superbly to overcome gear selection issues from qualifying, starring from the ninth row of the grid. 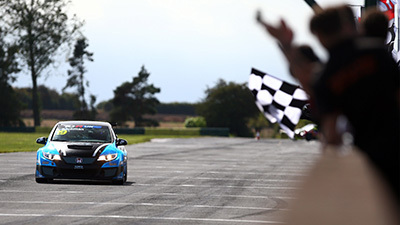 Even so, the Nissan 370Z duo were able to celebrate an outstanding season-best finish of sixth during the preceding one-hour encounter after producing a remarkable drive through from 28th on the grid. Sarazin took the opening stint, incredibly scything his way through into fourth spot before handing the car over to Fagg at the midway point. The Briton emerged in 11th place and raced extremely impressively to seventh at the flag, which became sixth post-race as a result of a time penalty for a rival entry. “Charlie and Romain both performed exceptionally well this weekend, they did a superb job and their respective pace was outstanding”, said SWR team principal Ken Page, “I’m devastated with the penalty, we should have been celebrating our first GT4 podium in only our second endurance race meeting. It is what it is, but I’m so devastated for Charlie and Romain and all the guys in the team. “The issue with gear selection in qualifying was unfortunate – we could see from the data it actually started playing up on the way to the assembly area. Both drivers did an outstanding job to overcome the problems and the team worked non-stop on raceday to stay on top of the car. Charlie and Romain deserved more in terms of the results, but they should be proud of their performances." Happy with the car through free practice, unfortunate gear selection problems developed at the beginning of qualifying which impacted SWR’s potential. Sarazin took the opening session and did manage to set a time good enough for 15th fastest, but the effort was removed by officials due to a track limits infringement so he ended the session 31st. Beginning race one from an elevated 28th place, Sarazin made a sensational start and put together an outstanding first lap to gain no fewer than 11 positions. Into the top 15 by lap five, the French racer edged closer to the top 10 prior to the appearance of the Safety Car at one quarter distance. When racing resumed with around 90 seconds to go until the pit-window opened, Sarazin held 11th place and soon broke into the top 10. As some rivals began to serve their stops, the SWR driver remained on track and he moved up into the top five before grabbing fourth at Druids on lap 18. Pitting from fourth with around 27 minutes to run, Fagg then took over the Nissan and when the race order settled he held 11th position. 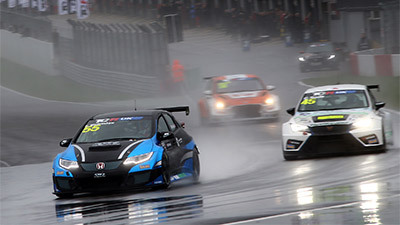 Just a few minutes later, the Safety Car was required again and racing only resumed with a quarter of an hour to go. Swiftly breaking into the top 10, Fagg mirrored Sarazin’s driving with great pace of his own and sliced his way through into the top eight by lap 24. Into seventh position with just 10 minutes left on the clock, soon after there was a third Safety Car intervention followed by a final four-minute dash to the flag. 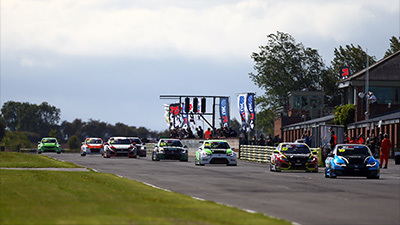 Making a good re-start, Fagg maintained seventh to secure a sensational result and it got even better post-race when a time penalty for a rival entry elevated the SWR squad into sixth. Turning plenty of heads, the performance by both drivers was outstanding. Fagg qualified the car 19th fastest for race two but began the contest an elevated 18th on the grid. Making fantastic early progress to haul the Nissan into contention for the top 10 with just a handful of laps complete, he held 13th place with 10 minutes gone and soon after climbed into the top 10. Decimating the three second gap to the Aston Martin ahead, lapping half a second quicker, Fagg closed up but then moved into ninth as a result of a mistake from Duncan Huisman before the Safety Car was deployed with around 17 minutes gone. Racing resumed at the point of the pit-window opening at the 35-minute mark and Fagg, now in eighth place, remained on track. Pitting with half an hour to go from an improved seventh, Sarazin then took over and held fifth when the order settled – although another cautionary period followed. 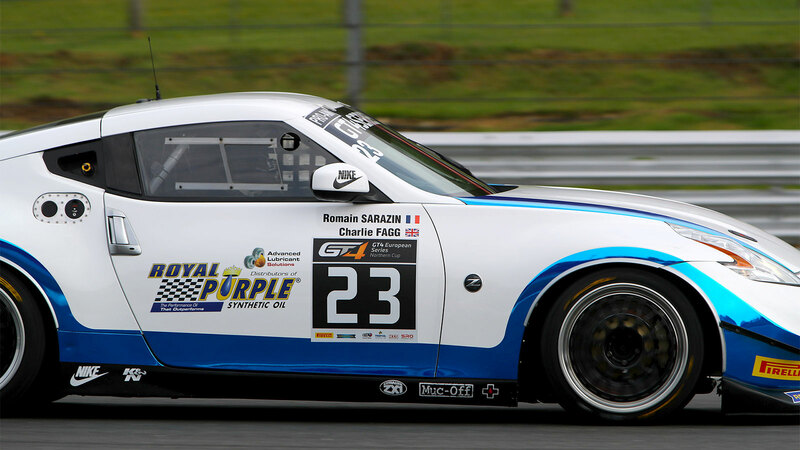 Racing got back underway with 18 minutes to go and Sarazin made an exceptional re-start, moving alongside the car ahead and then taking fourth into Paddock Hill Bend before grabbing third into Surtees. Then, into the final quarter of an hour, the news came through regarding the stop-go penalty for the short pit-stop. Adding insult to injury for SWR, the Safety Car appeared again which bunched the pack up and meant the penalty would be even more costly. Emerging back onto track in 18th position with less than 10 minutes to run, racing was then red flagged with just a few minutes left and the SWR entry was classified 17th at the conclusion. Next on the GT4 European Series Northern Cup calendar is a visit to the Red Bull Ring in Austria, where the championship will join the ADAC GT Masters package, over the weekend 10th/11th June.